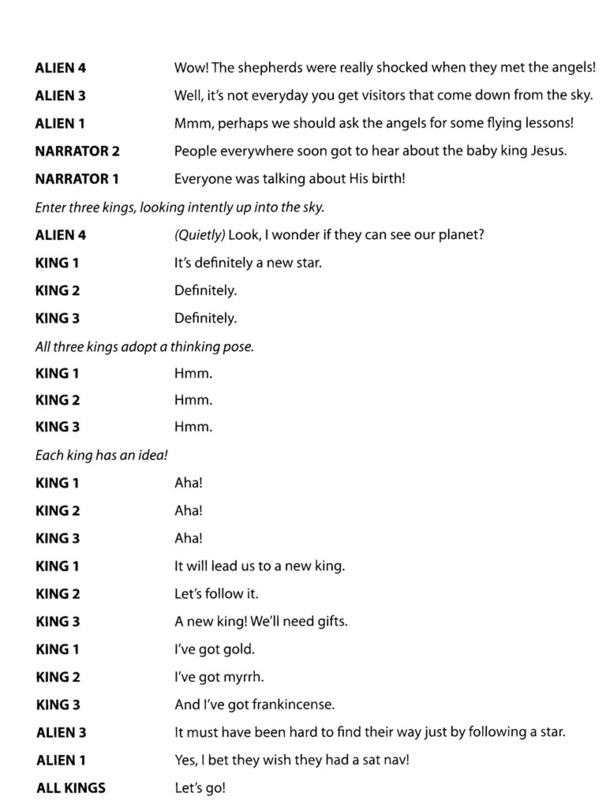 Christmas With The Aliens is an enchanting modern nativity by Nikki Lewis. 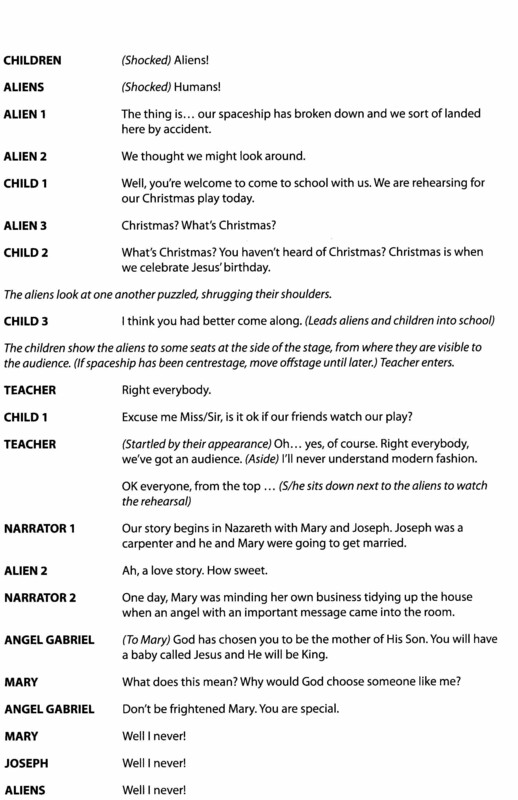 The traditional Christmas story is retold to some alien visitors who become stranded on earth and meet a group of schoolchildren rehearsing their Christmas play. Now available with Words on Screen™ v2. Christmas With The Aliens is a great nativity in which some alien visitors become stranded on earth with a broken spaceship. They meet a group of schoolchildren about to rehearse their Christmas play and are invited to watch it. 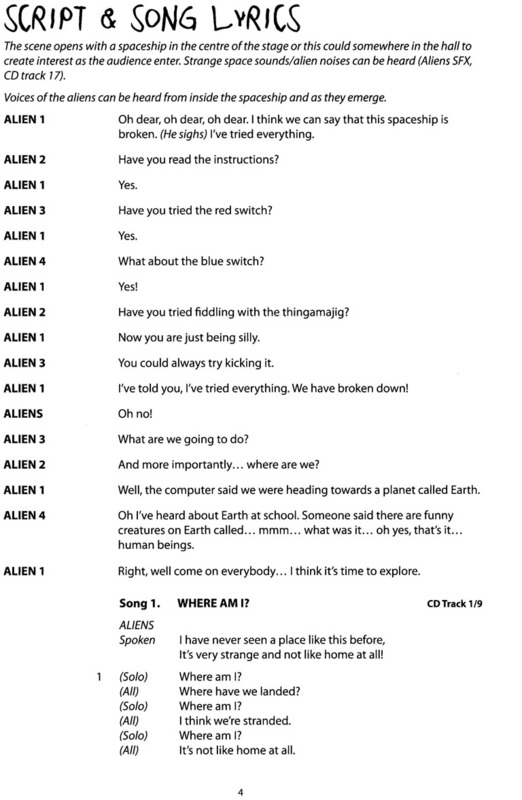 The aliens discover an amazing story and want the whole universe to hear it. But will they be able to mend their spaceship and travel back to outer space? 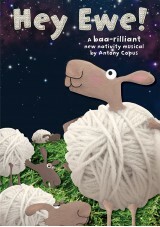 This delightful modern nativity musical by Nikki Lewis looks set to be a firm favourite for years to come. 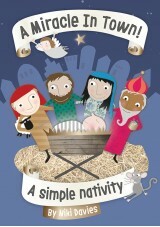 A great Christmas play for 4-7 year olds. 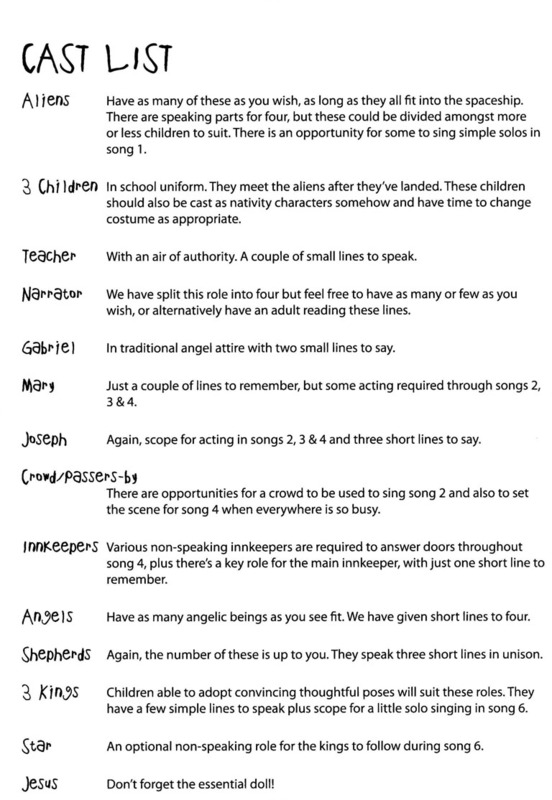 Cast List:View cast list Some of the groups of characters can be adapted to suit the size of your production. Come On, Are You Ready? Wo-hoo! What an outstanding nativity play! I've watched a fair few nativities over the years, but this one is something else. I'm still humming the tunes the week after Christmas. 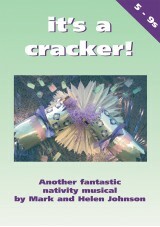 The songs are memorable, fun, challenging for the children, and full of the Christmas message. Skillfully written, positive, full of warmth for strangers and all good Christmas things. I'd highly recommend for any school. Well done Nikki Lewis! We performed our play this morning to the rest of the school and I can’t believe how brilliant the feedback was! The children loved every minute of it, the songs, the acting and the general story line interested them! Many of the staff said it was one of the best plays they had ever seen! A fabulous script and would highly recommend! Looking forward to performing to parents tomorrow! Going to be hard to top but hopefully find an equally as good one next year! we did this with a group of 60 year 2 and 58 year 1 children who did a little dance mid way through. the parents said it was the best they had seen and were very happy with the show. can't wait til we can do it again. highly recommended. We absolutely loved this show...we even had a parent make an amazing alien space ship for the performances with lights and smoke aswell! Don't know how we're going to top it this year! 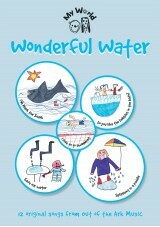 This captured all the children's imagination and was very different to anything we have done previously. Great scope for scenery and costumes,our aliens had green faces and swimmimg hats! This was the best Christmas Play that we have done....ever! The songs were great, the humour was just right and there was lots of scope for all abilities from our 3 to 7 year olds. Make this your next Christmas purchase...you won't regret it! 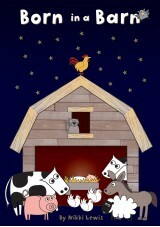 We did this nativity last year and my class were still wanting to sing the songs in july!. This is fantastic and we had great feedback from our parents. Thank you Nikki we hope you write some more for the future. 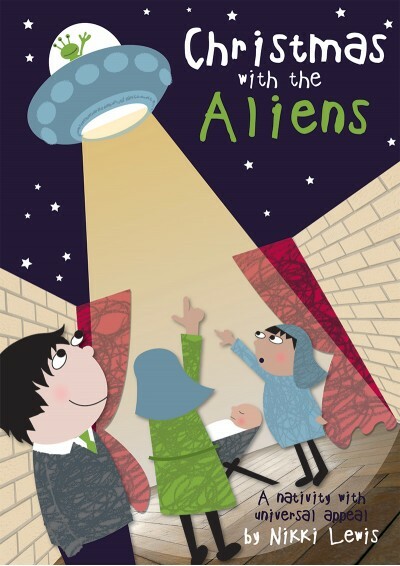 We did Christmas with the aliens with our Year 3 children last Christmas (2009). Although this is the top end of the age-range we quite often choose a lower age range becasue we have a school with a majority of EAL children and learning lines is difficult for them. Sometimes we find it difficult to find musicals that appeal to a junior age group, but not to hard to learn. This musical fitted perfectly. The jokes and the language was easy to understand and the children loved it!! The songs were very catchy and many parents and staff thought that we wouldn't be able to find a better one than "Ralph the Reindeer" - which we had done the previous year and also loved. I would highly recommed this musical - it is excellent! we haven't stopped singing yet! MY DAUGHTERS FIRST SCHOOL NATIVITY AND SHE LOVED EVERY SONG. SHE HASN'T STOPPED SINGING IT YET ( A WEEK AFTER THE PERFORMANCE) A GREAT HIT IN OUR HOUSE!